Conserving California’s Coastal Habitats: A Legacy and a Future with Sea Level Rise. 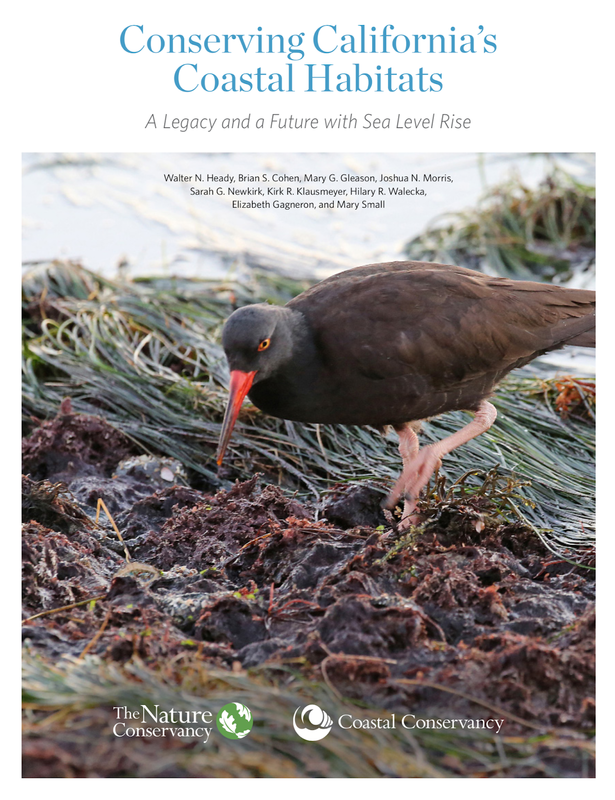 This statewide assessment quantifies and maps the vulnerability of California’s coastal habitats, imperiled species, and conservation lands to sea level rise, as well as opportunities for conservation strategies to maintain coastal habitat area in the face of sea level rise. 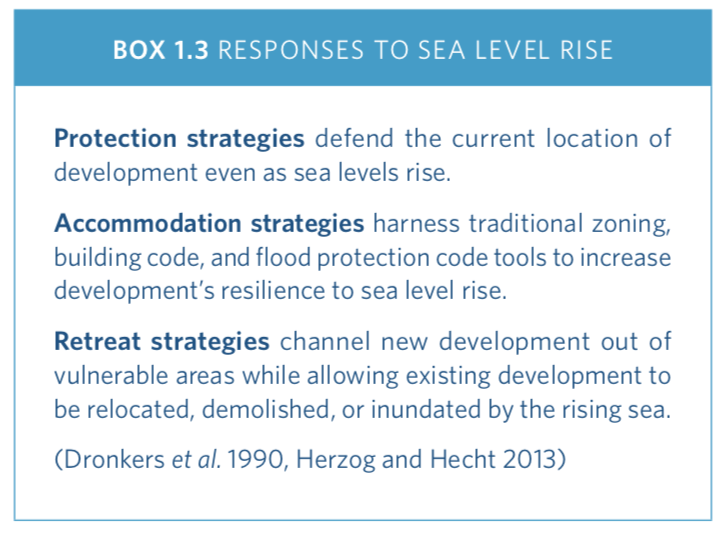 Surfers' Point is highlighted as an example of retreat strategies as a response to sea level rise. Heady, W. N., B. S. Cohen, M. G. Gleason, J. N. Morris, S. G. Newkirk, K. R. Klausmeyer, H. Walecka, E. Gagneron, M. Small. 2018. 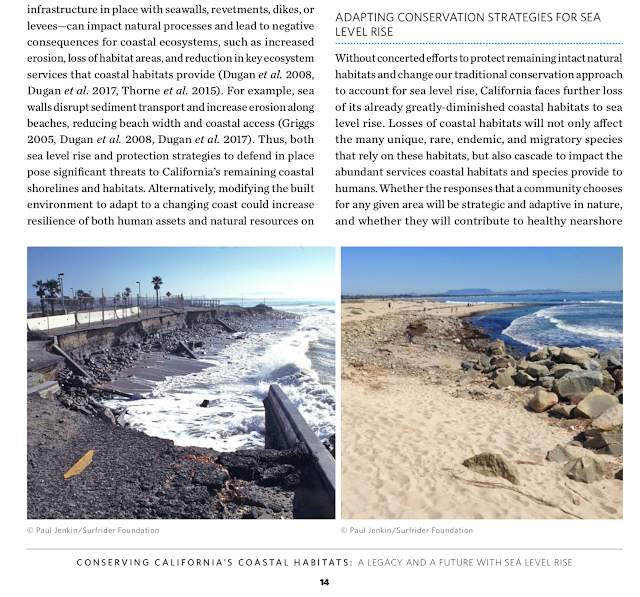 Conserving California’s Coastal Habitats: A Legacy and a Future with Sea Level Rise. The Nature Conservancy, San Francisco, CA; California State Coastal Conservancy, Oakland, CA. 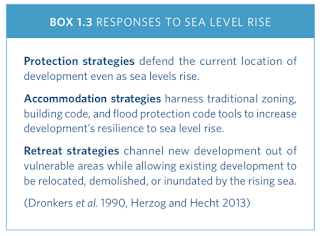 143 pages.